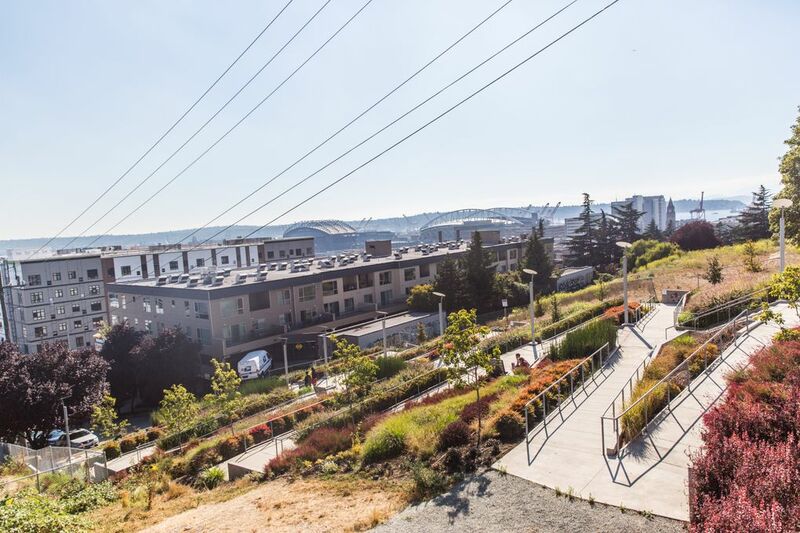 Built for about $6 million on property previously occupied by a Seattle Housing Authority services building and a baseball field, the 1.8-acre park is located in the heart of a rapidly changing neighborhood that barely resembles the Yesler Terrace of yesteryear. The redevelopment of Yesler Terrace has been hard on Chi Nguyen. The 74-year-old has had to move multiple times, as the public-housing community’s aging town houses have been razed, block by block, to make way for new apartment buildings. Lately, she also is starting to see some positive changes in the neighborhood above downtown Seattle. Since the new Yesler Terrace Park opened Aug. 25, Nguyen has stopped by daily to sit and chat, watch her granddaughters play and drink in a glorious view that sweeps from Beacon Hill across Sodo and Elliott Bay to the Columbia Tower. Chi Nguyen’s household is among 279 that have stayed or returned to Yesler Terrace since its controversial redevelopment began. Nearly 200 other households are now living elsewhere. The park’s recent unveiling was a milestone in the remaking of the community, a process which began in 2012 and is expected to last more than 10 years. Soon after the Seattle Housing Authority (SHA) decided to replace Yesler Terrace with both low-income and market-rate apartment buildings — selling off some land to private developers to help pay for the work — officials began thinking about how a new park could serve the area. “The old town houses had small yards, so the planners knew from the outset that open space was going to be really important,” SHA spokeswoman Kerry Coughlin said. There are spray showers on a wide plaza, incorporating marble sculptures that resemble stacks of ceramic bowls. There are also orange and green play structures with slides for zooming down, nets for climbing up and bars for hanging from. Down a grassy slope, a basketball court rubs shoulders with a small soccer pitch and a lawn with barbecue stations. There were kids everywhere on a recent afternoon. Yesler Terrace was the country’s first racially integrated public housing development, and past residents include former Gov. Gary Locke and the late Jimi Hendrix. 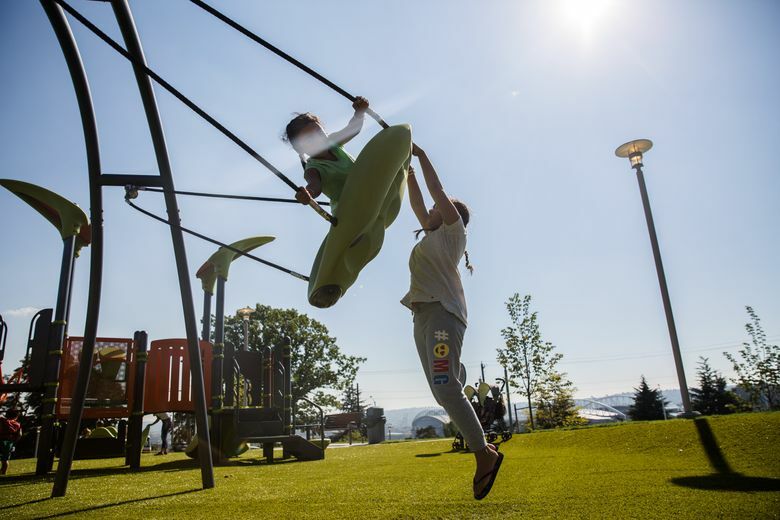 “I love how diverse this community is and how the playground is bringing everybody together,” said Anita Salavea, 30, who moved to the area six months ago from American Samoa and who was exploring the park with her husband and five children. 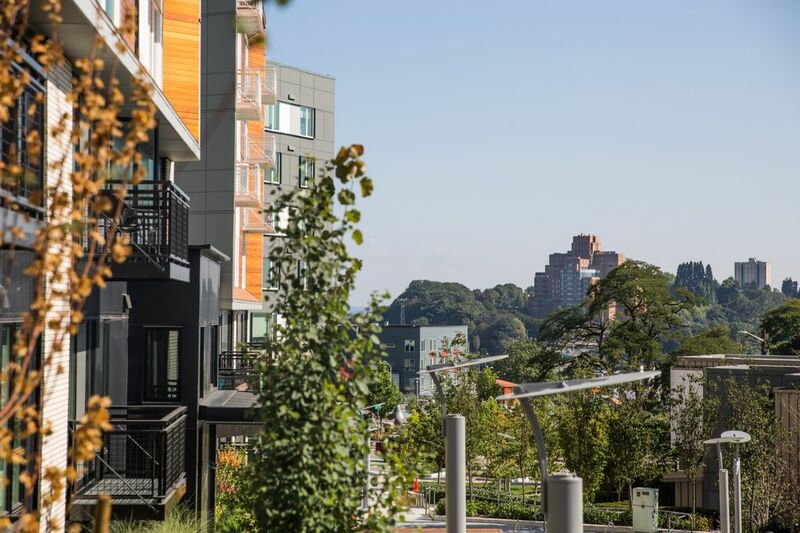 Built for about $6 million on property previously occupied by an SHA services building and a baseball field, the 1.8-acre park is located in the heart of a rapidly changing neighborhood that barely resembles the Yesler Terrace of yesteryear. The Yesler Terrace Community Center remains, but streetcars now glide past the park on Yesler Way, traveling up and down the First Hill line, which opened in 2015. Looking north, parkgoers can see an SHA apartment complex completed in 2016 and a private apartment building, developed by Paul Allen’s Vulcan, which opened earlier this year. To the south, they can see an SHA complex completed last year, behind which are garden plots and a brand-new hill climb with a mosaic-accented staircase and ramp for pedestrians and cyclists that connects Yesler Terrace with Little Saigon below. More buildings are planned or under construction. Not everyone from the community loves the long-planned renovations, which are accelerating. In recent years, some longtime residents have questioned whether the neighborhood’s unique spirit would be crushed by real-estate developers. Shooting hoops with friends at the park, Yussuf Abdi said memories are what the new space lacks. “I prefer the old neighborhood, the old Yesler,” said Abdi, 17. And not everyone who once called the community home is around to enjoy the park and make new memories. 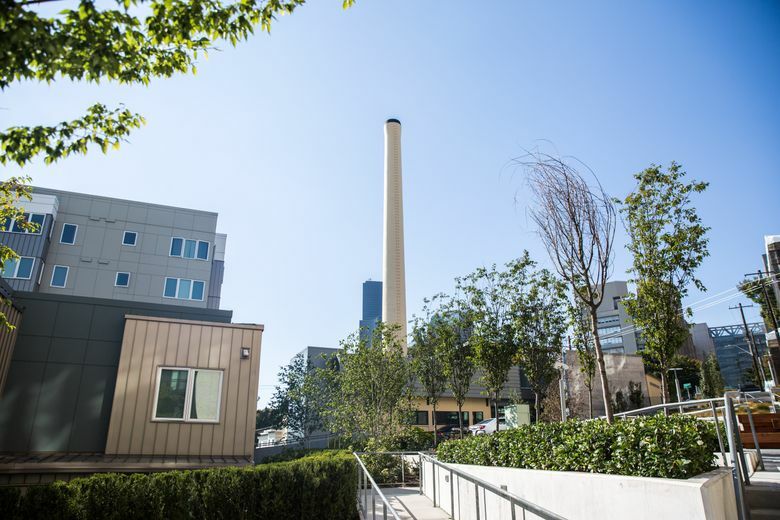 Among the households that were living at Yesler Terrace in 2012 and that now are living elsewhere, 119 have moved to other SHA communities, while more than 60 are using SHA rent vouchers, mostly outside Seattle. 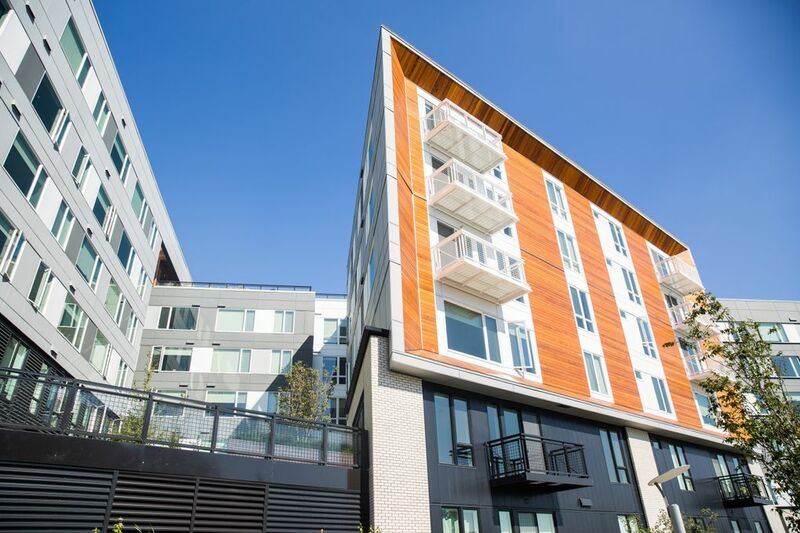 SHA will continue to give the departed households first priority as additional buildings are completed at Yesler Terrace, if they want to return, Coughlin said. 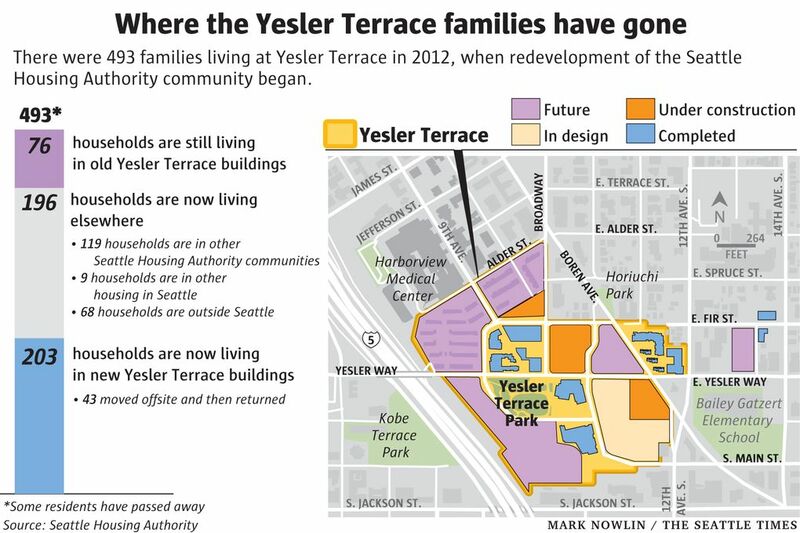 Among the households that have stayed or already returned, 203 have moved into SHA’s new Yesler Terrace buildings and 76 are living in old town houses that have yet to be razed. Chi Nguyen has moved into a new SHA building with better security, which her daughter appreciates. But she misses having a yard to garden in, Jenny Nguyen said. SHA intends to replace each of Yesler Terrace’s 561 original apartments with new units. Like before, residents will pay 30 percent of their income on rent and utilities. The private developers who have bought Yesler Terrace property also are reserving some apartments in their buildings for lower-income residents — an arrangement SHA expects will generate an additional 1,100 units of affordable housing. Those units eventually will be outnumbered by more than 3,200 market-rate rentals. Richard Craig recently moved into a new apartment. His old Yesler Terrace building “had bugs and roaches and rats,” he said. The 30-year-old now has a view of CenturyLink Field. 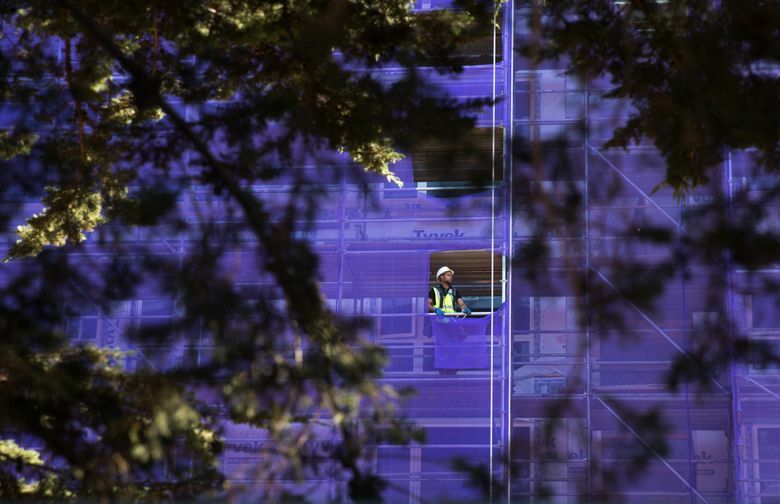 For him, the new park is somewhere to watch the neighborhood evolve, for better or worse.